Though I haven’t talked about it too much on the blog, yes, I do private commissions. 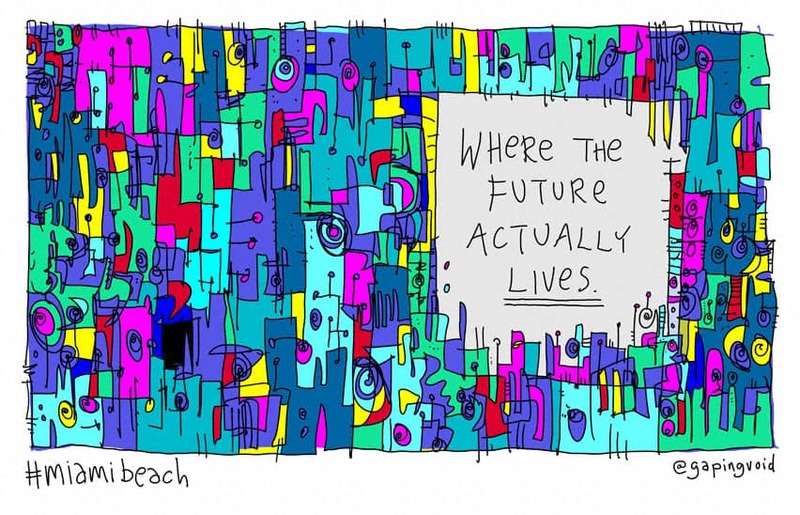 Feel free to contact me at gapingvoid@gmail.com if you want to discuss further, Thanks. "how culture will un-break itself"
Private commissions are fraught with emotion for me because I’m emotionally invested with the client. One of my favorite panels was Symphony, an oil I created for a couple. The husband was an 80 year old jazz pianist and his wife a classically trained vocalist. It was a vibrant representation of not only music, but their life together. It’s always surprising to me – seeing the work that emerges from me when I know the people for whom I’m creating. Do you use waterproof ink when you print out the black lines? I would have thought the red would smudge the black as you painted over it. Great piece. I bet they love it! Cheers! 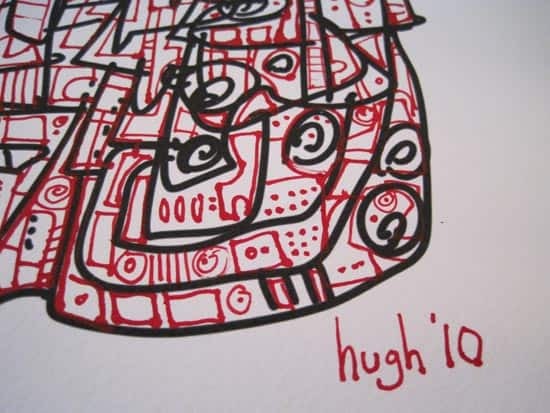 I enjoyed seeing the process of the drawing – so brave to use the red ink.